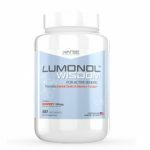 Smart Nutrition’s Get Smart is one of the older nootropics that we have come across which was brought to our attention in one of the nootropic discussion groups that we have participated in lately. Get Smart is not quite as popular as some of the other brain pills that we’ve reviewed recently, but after a few people discussed it on Reddit, it seems have been suddenly revived! 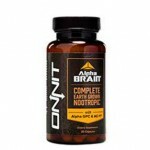 Get Smart is one of the older nootropic brain pills that we have reviewed on this website. Created by Smart Nutrition, Get Smart has a pretty old formula that some may describe as a little outdated, but in the end of it all, it’s not just simply the age of the ingredients, but also the type and grade of ingredients that they have selected that brings them down. 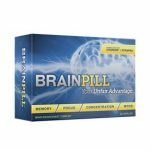 Even further, there have been great advancements in nootropic ingredients over the past few years, and with these advancements, Get Smart has seemed to fail to innovate, leaving them behind in the dust. Even worse is probably their own website – it seems as if they have not really put much effort into it, which might even reflect their own formula. If they have not put enough effort into making the front end of their site looking good, or even more, updating it to not look like it was made ten years ago, perhaps not a lot of effort was put into their formula as well. When it all boils down to whether Get Smart can compete with some of the other brain pills available out there, it is difficult to give a definite answer. While it is incredibly potent, some of the ingredients are also a little outdated. While there isn’t a supplement facts label per se, Smart Nutrition lists its formula on their website. The very first thing that most people might notice from taking a look at Get Smart’s ingredients is that it is incredibly potent. 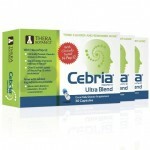 It has a host of great ingredients, including Noopept, Aniracetam, Vinpocetine, and Picamilon. 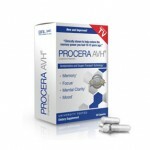 So many manufacturers nowadays are trying too hard to innovate by using the most absurd ingredients that have never even been tested, while the best usually lie in the most classic nootropics. Get Smart’s formula is indeed a smart one. While the ingredients are indeed pretty good, there are still some drawbacks, however. One of these is that we would have really liked to have seen was more of CDP Choline. There really is no real good reason to include both CDP and Alpha GPC. They should have just done away with Alpha GPC, giving more room for CDP Choline. Another thing could have been an energy boosting ingredient like caffeine, or even better, guarana. On top of that, due to the inclusion of Huperzine A, Get Smart needs to be cycled off for 1-2 days after every 5-7 days of continued use. This means it isn’t really a daily solution. Our tests with Get Smart lasted for a whole 45 days. We had a few volunteers come in to our lab (aged 21-36) who agreed to take Get Smart continuously and write down their findings in a journal. They also had to come report back with our lab every two weeks for general cognitive performance tests. We were actually quite surprised regarding Get Smart’s effects. While certainly not as potent as most of the best nootropics available out there, Get Smart still manages to do the job well. Our volunteers reported being able to notice an intense surge of focus and concentration, along with a slight buzz that allowed them to get into the productive zone and blast away through tons of work. 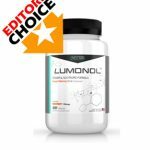 While reports varied, most of them noted that the buzz lasted for around 3 hours, which is shorter than most other nootropics, but it was still enough to get a lot of work done in a short amount of time. By then, it would almost always be lunch anyways, and the second capsule could be popped at around 1pm. Aside from that, we also heard of reports of more intense colors at times, and even music being easier to listen to. Throughout the course of 6 weeks, we were able to measure an improvement in mood, as well as better overall quality of sleep from some of the tests we conducted. Any improvements to focus did not last long, however, as these effects gradually tapered off over the course of a few weeks. Improvements to memory were minimal, but still measurable. There weren’t that many reviews on Get Smart online, and it was even harder to find a positive one. Perhaps due to the lack of Amazon carrying it too. Maybe it’s also due to its age. Fortunately, the reviews available were pretty in-depth though. I’ve only take get smart for 4 days, the first time I noticed an onset of brain fog but the second day and so forth I noticed a mild improvement. I’m hoping things continue to progress, I know it is too soon and i’m going to give it some time. most of the components in get smart have shown positive results in helping people better their memory and cognitive function after TBIs, strokes, Alzheimer and other neuro degenerative diseases. All in all I am disappointed (I was hoping a strong effect after one pill) but I hope that in the mid to long term(3 to 6 months) I notice positive effects. 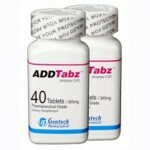 I read an interesting article titled “Cognitive Impairments in TBI: Pharmacological Treatment Considerations” that suggests using some ADD medications like adderal or ritalin, I tried adderall previously and it did help so I think I am going to visit a Psychiatrist and get a script. I’m going to try to see a specialist and depending on the cost maybe get some type of treatment or meds if there are any. I think that would be the best route since my progress has severely slowed down. I have tried it before, the recommended serving, two pills, was quite fun for a night on the town, but it’s pretty expensive one you realise that it’s really only 30 doses in the bottle contained in 60 caps. I find my stack with less ingredients, higher doses of certain ingredients ie. ani and huperzine, and more choline is way better plus easier on the wallet. Regarding side effects, Get Smart actually produced some headaches which were recurring, especially coming down from the buzz. On the positive side, this wasn’t present until the fourth or fifth week when the effects on focus started decreasing. Some of our volunteers also mentioned being slightly lethargic and ‘crashing’ right after a buzz. This continued, and then was worsened by severe headaches that started accompanying these crashes. This could be attributed to the Huperzine A in Get Smart. 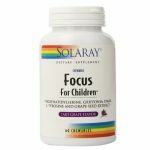 While it will help in providing focus and motivation, it is more of a short-term solution, and really has to be cycled off often for maximum effectiveness. 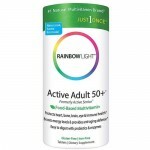 A bottle of Get Smart from Smart Nutrition’s website costs $55.99 for a bottle of 60 capsules. This bottle should last you a whole month taking it at two caps per day, but could last even longer if you were to cycle it off for a few days every week (which we highly recommend). There are no other pricing options. 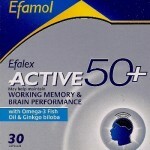 While the effects of Get Smart are pretty good, you might find better alternatives similarly priced. Smart Nutrition’s Get Smart is already a pretty outdated product, and if you take a look at their website, you might realize that there’s really nothing that they are going to do about it. It is a dying company, way past its prime. Although it is quite old, though, it still matches up and manages to outcompete the average brain pill, but even then, there are some notable side effects to its use. It’s formula is really promising, but we still suggest a few tweaks here and there. 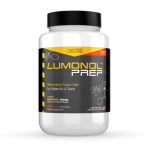 Most notably the addition of an energy ingredient and replacing Alpha GPC for more CDP Choline. Another possible improvement is the removal of Huperzine A as that really does limit its use. 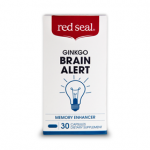 Get Smart is really showing its age, and even though there are quite a number of positives regarding it, there are definitely a lot of better nootropics available out there. 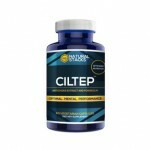 For the price of $55.99, you might be better off searching for newer supplements. We liked Get Smart, and we have to say that in some small ways, we were quite impressed. However, we still can’t fully recommend it either.